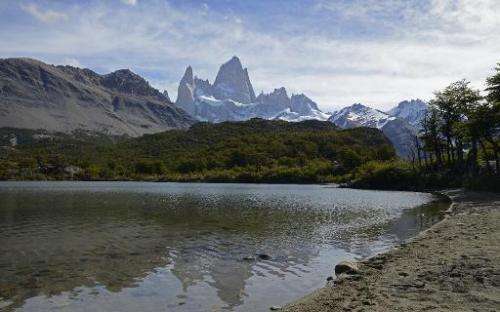 President Michelle Bachelet's government Tuesday rejected a huge hydroelectric project in Chile's Patagonia region, citing its adverse impact on the environment. The decision by the Chilean cabinet to shelve the controversial seven-year-old project was a victory for environmentalist groups which fought the proposal to build five dams in a pristine river basin. "The Hidroaysen hydroelectric project is hereby rejected," said environment Minister Pablo Badenier. Hundreds of people cheered the decision in the streets of Santiago and in the region of Aysen, some 1,300 kilometers (800 miles) south of the Chilean capital. The joint Spanish-Chilean venture formed for the project now has 30 days to challenge the decision in the Environmental Court of Valdivia in southern Chile. The next step would be to appeal to the nation's Supreme Court. Spanish power company Endesa, which is controlled by Italy's Enel, has a 51 percent stake in the project, and Chile's Colbun the remaining 49 percent. The project called for dams on the Pascua and Baker rivers that would have flooded 5,900 hectares (15,000 acres) of virgin land in the Patagonia region. The objective was to generate 2,750 megawatts of electricity, boosting Chile's installed capacity of 17,500 MW. It also involved construction of a 2,000 kilometer (1,240 mile) long transmission line to carry power to the center and north of the country, where Chile's major population centers and energy-hungry mining industries are located. A net importer of energy, Chile has experienced dwindling supplies and a doubling in energy prices in recent years due to a lack of capital investment and growing competition in the sector. But Energy Minister Maximo Pacheco said the Hidroaysen project "suffers from important faults in its execution in not giving due consideration to aspects related to the people who live there."